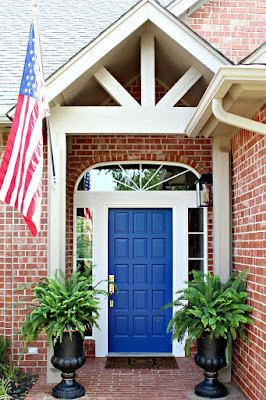 Tamara from Citrine Living just revealed her Entryway makeover. I love the blue and white pieces she added and the gold bamboo mirror for such a fresh look! 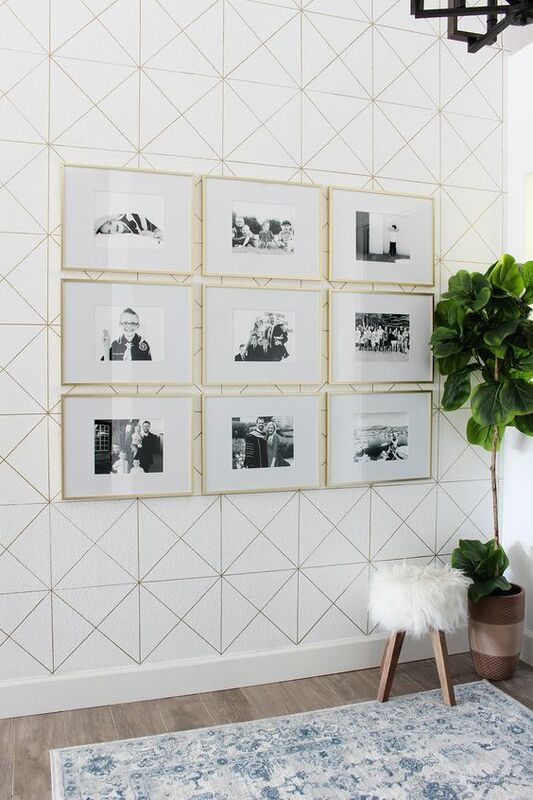 This Sharpie Wall Art is such a clever idea... major impact with a tiny cost! Going back to last Fall's One Room Challenge, this Library from Natasha Haberman provides a major wow factor! 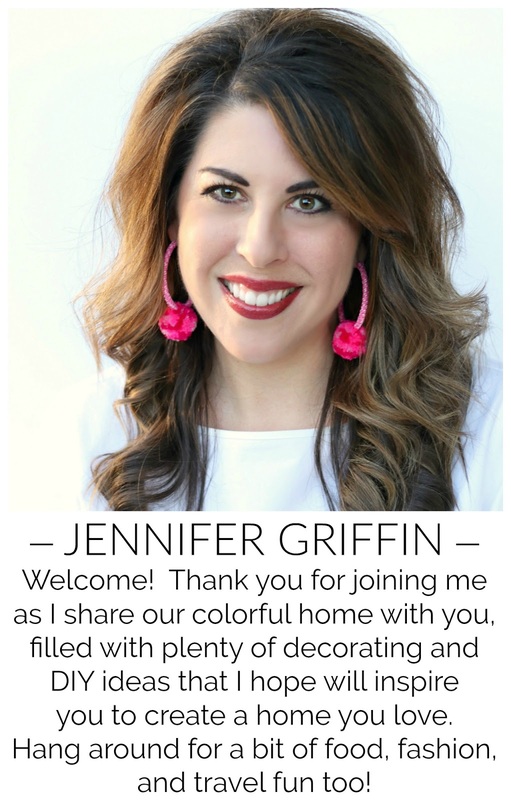 You'll love Jenny's colorful feed! 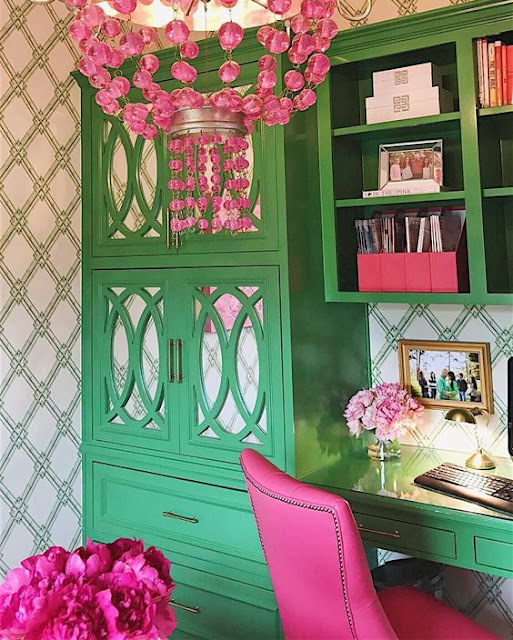 She just moved into a new design studio that adjoins the cutest boutique. I'm always inspired by the things that Jenny shares. Lastly, I couldn't end today without sharing this sale with you. I'm trying to post great home and fashion finds on Fridays now, but I knew if I waited until next Friday these would likely be all sold out! All of these pieces except one are on deep discount at $10-12. The blush fan earrings, purple tassel earrings, and neutral stack bracelets are on their way to me! :) Stock is low on all of these pieces, so hurry! I loved hearing the behind the scenes scoop on fashion blogging! Great link to share.